Wanted For: CrimeStoppers and the Honolulu Police Department are seeking the public’s assistance in locating a male who is wanted for a Theft in the Second Degree which occurred at the Kapahulu First Hawaiian Bank located at 433 Kapahulu Avenue. On Friday, February 2, 2018, at approximately 9:25 a.m., a male entered the First Hawaiian Bank, approached the teller and demanded money. The male was given an undisclosed amount of money and fled on foot in an unknown direction. 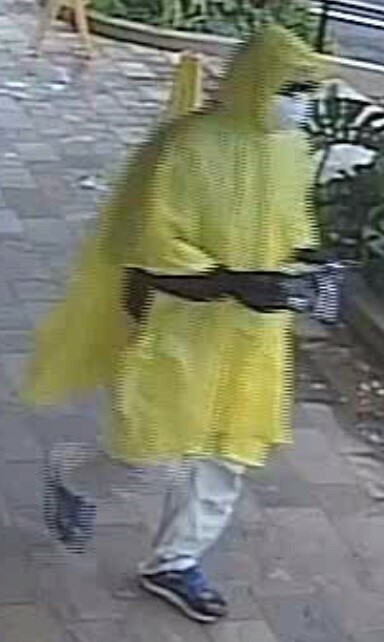 Clothing: Yellow poncho, black long sleeve shirt, Khaki pants, black sunglasses, black gloves, white surgical mask. Wanted For: CrimeStoppers and the Honolulu Police Department are seeking the public’s assistance in locating a male who is wanted for robbing the American Savings Bank Waipahu branch located at 94-060 Farrington Highway. On Thursday, July 6, 2017, at approximately 12:21 p.m., a male entered the bank, approached the teller, and demanded money while making a verbal threat. The male was given an undisclosed amount of money and fled on foot in an unknown direction. Clothing: Dark colored jacket, shorts, shoes, and visor. Wanted For: CrimeStoppers and the Honolulu Police Department are seeking the public’s assistance in locating a male who is wanted for Robbery in the First Degree. On Friday, February 10, 2017, at approximately 10:55 a.m., an unknown male entered the Bank of Hawaii Branch located at 95-1249 Meheula Parkway. 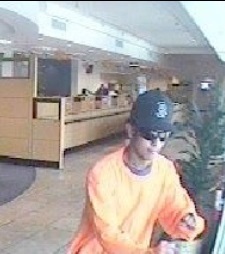 He handed the teller a note, demanded money, and fled on foot with an undisclosed amount of money. Wanted For: CrimeStoppers and the Honolulu Police Department are seeking the public’s assistance in locating a male who is wanted for Robbery in the First Degree. On Friday, September 23, 2016, at approximately 2:17 p.m., an unknown male entered the Hawaii National Bank located at 98-1268 Kaahumanu Street, handed the teller a note, and stated that he had a weapon. He fled on foot. Wanted For: CrimeStoppers and the Honolulu Police Department are seeking the public’s assistance in locating a male, who is wanted for Robbery in the First Degree. On Monday, January 11, 2015, at approximately 2:44 p.m., a male entered the American Savings Bank located in Kapolei, approached the teller, and demanded money. The male threatened to detonate a bomb when the branch manager declined to give him any money. He fled on foot in an unknown direction. Clothing: Light green long sleeved shirt, khaki shorts, black baseball cap, blue surgical mask, black slippers. Wanted For: CrimeStoppers and the Honolulu Police Department are seeking the public’s assistance in locating a male who is wanted for robbing the Central Pacific Bank located at 2024 North King Street. 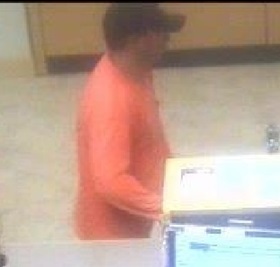 On September 17, 2015, at approximately 2:50 p.m., a male entered the bank, handed the teller a note, and demanded money. The male fled on foot in an unknown direction. Wanted For: CrimeStoppers and the Honolulu Police Department are seeking the public’s assistance in locating a male who is wanted for an attempted bank robbery that occurred at the Central Pacific Bank located at 1030 Makolu Street. 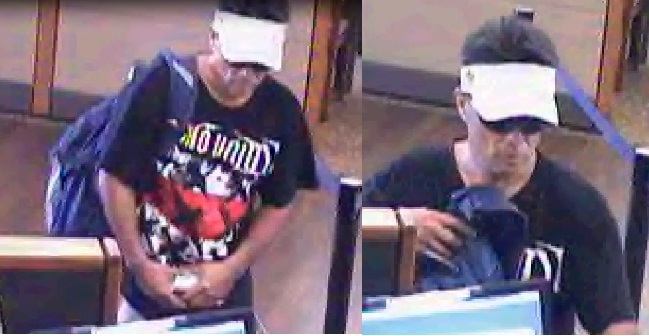 On September 18, 2015, at approximately 2:50 p.m., a male entered the bank, approached the teller, and demanded money. After being questioned by a teller, the male fled on a moped on Makolu Street. Wanted For: CrimeStoppers and the Honolulu Police Department are seeking the public’s assistance in locating a male who is wanted for robbing the Territorial Savings Bank located at 94-084 Kamehameha Highway. On September 14, 2015, at approximately 1:10 p.m., an unknown male entered the bank, approached the teller, and demanded money. The male fled on foot in an unknown direction. and a black fanny pack. 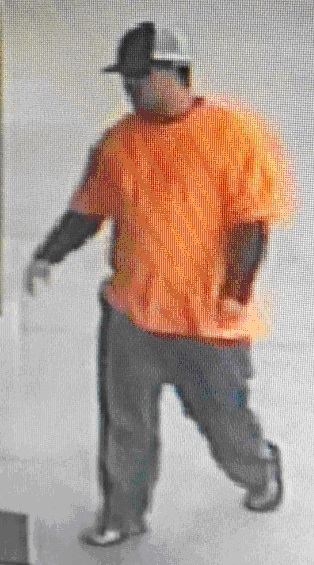 Wanted For: Crimestoppers and the Honolulu Police Department are seeking the public’s assistance in locating a male who is wanted for robbing the Central Pacific Bank located inside of Times Supermarket at 94-615 Kupuohi Street. 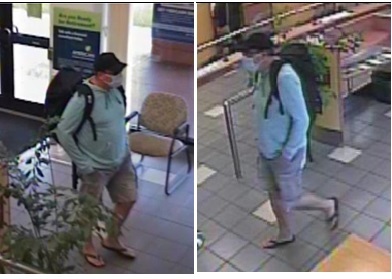 On May 9, 2015, at approximately 10 a.m., an unknown male entered the bank, handed the teller a note, demanded money, and fled on foot in an unknown direction. Wanted For: CrimeStoppers and the Honolulu Police Department are seeking the public’s assistance in locating two males wanted for robbing the American Savings Bank located at 1425 Liliha Street. On April 28, 2015, at approximately 12:57 p.m., two males entered the bank. One of the males approached and handed the teller a demand note while the second male waited by the door. Both males fled westbound in a light-colored vehicle onto Vineyard Boulevard. Wanted For: CrimeStoppers and the Honolulu Police Department are seeking the public's assistance in locating a male who is wanted for robbing the Oahu Federal Credit Union located at 2219 Pauoa Road. 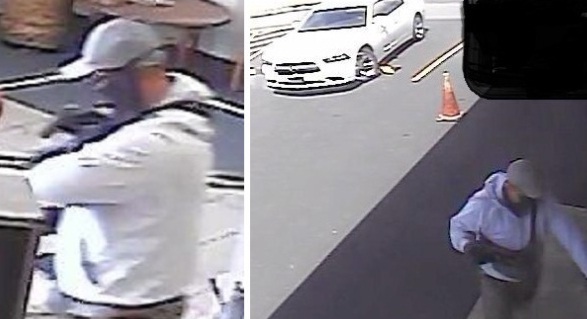 On April 1, 2015, at approximately 1:57 p.m., an unknown male parked his white Charger in the parking lot, entered the bank, brandished a handgun, and demanded money. The male fled in the vehicle toward the Pali Highway. Wanted For: CrimeStoppers and the Honolulu Police Department are seeking the public's assistance in locating a male who is wanted for robbing the Bank of Hawaii located at 636 Kailua Road. 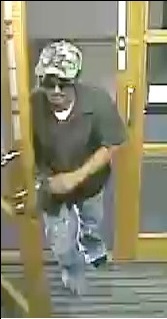 On August 26, 2013, at approximately 3:30 p.m., a male entered the bank, approached the teller, and demanded money. He fled on foot in an unknown direction. Wanted For: CrimeStoppers and the Honolulu Police Department are seeking the public’s assistance in locating a male who is wanted for robbing the Oahu Federal Credit Union located at 2219 Pauoa Road. On March 12, 2013, at approximately 1:43 p.m., a male entered the bank, approached the teller, brandished a handgun and fled on a yellow/orange bicycle on Pauoa Road towards Lusitana Street. Last seen wearing long sleeve grey hoodie, baseball cap, black fanny pack, black cloth covering face, and black gloves. Wanted For: CrimeStoppers and the Honolulu Police Department are seeking the public’s assistance in locating a male wanted for robbing Bank of Hawaii located at 101 North King Street. On December 18, 2010, at approximately 9:50 a.m., a male entered the bank, approached the teller and demanded money. He fled on foot in an unknown direction. 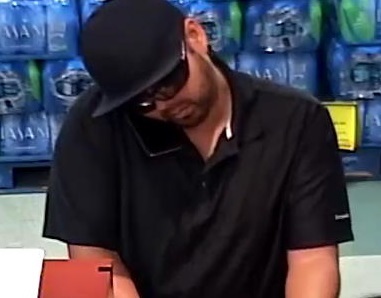 The suspect may be responsible for two other bank robberies that occurred on December 9, 2010, at Territorial Savings & Loan, and on December 14, 2010, at Hawaii National Bank. Last seen wearing yellow dress shirt, khaki long pants, white baseball cap with unknown design and wired prescription glasses. Wanted For: CrimeStoppers and the Honolulu Police Department are seeking the public's assistance in locating a male wanted for robbing Hawaii National Bank located at 841 Bishop Street. On December 14, 2010, at approximately 10:25 a.m., a male entered the bank, approached the teller, and demanded money. He fled in an unkown direction. 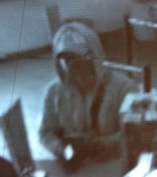 The same male may be responsible for the robbery at Territorial Savings & Loan on December 9, 2010. Wanted For: CrimeStoppers and the Honolulu Police Department are seeking the public's assistance in locating a male wanted for robbing the Territorial Savings and Loan located at 1000 Bishop Street. 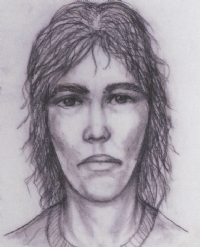 On December 9, 2010, at approximately 2:03 p.m., a male entered the bank, approached the teller, and demanded money. The male fled on foot in an unknown direction. Last seen wearing beige dress shirt, Khaki long pantsm white baseball cap, and prescription glasses. Wanted For: CrimeStoppers and the Honolulu Police Department are seeking the public's assistance in locating a male wanted for robbing the Bank of Hawaii located at 4404 Malaai Street on July 1, 2010, at approximately 2:17 p.m. 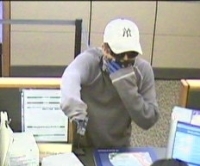 The male approached the teller, brandished a handgun, and demanded money. He got into the passenger side of an older model gray van and fled in the mauka direction on Malaai Street. Last seen wearing a gray long sleeve shirt, white baseball cap "NY", sunglasses, and long pants. Wanted For: CrimeStoppers and the Honolulu Police Department are seeking the public's assistance in locating a male who is wanted for robbing the American Savings Bank located at 848 Ala Lilikoi Street. On March 9, 2010, at approximately 9:10 a.m., a male entered the bank, approached the teller, brandished a handgun, and demanded money. The male was last seen fleeing in a 4-door compact vehicle on Salt Lake Boulevard.